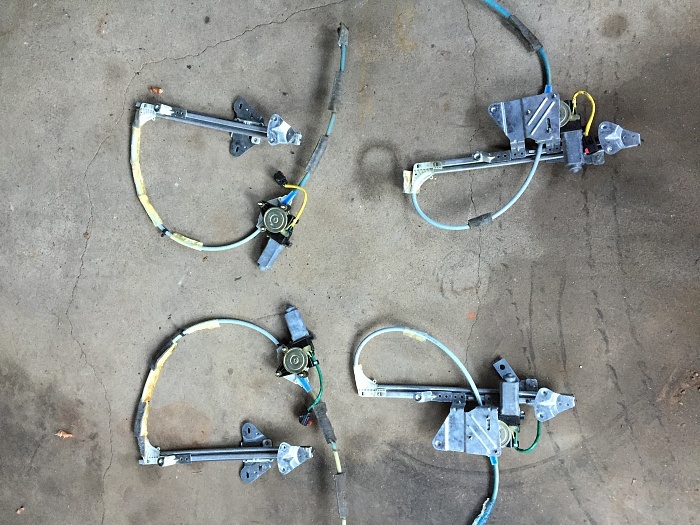 For sale are 4 automatic window regulators and door panels for a 97-01 XJ. Driver, passenger, rear driver, rear passenger. All work as they should. Panels are in decent shape for the age, a little sun fading on the top seam, but all lettering is visible, switches functional. Looking for about 25 bucks a piece for the regulators. 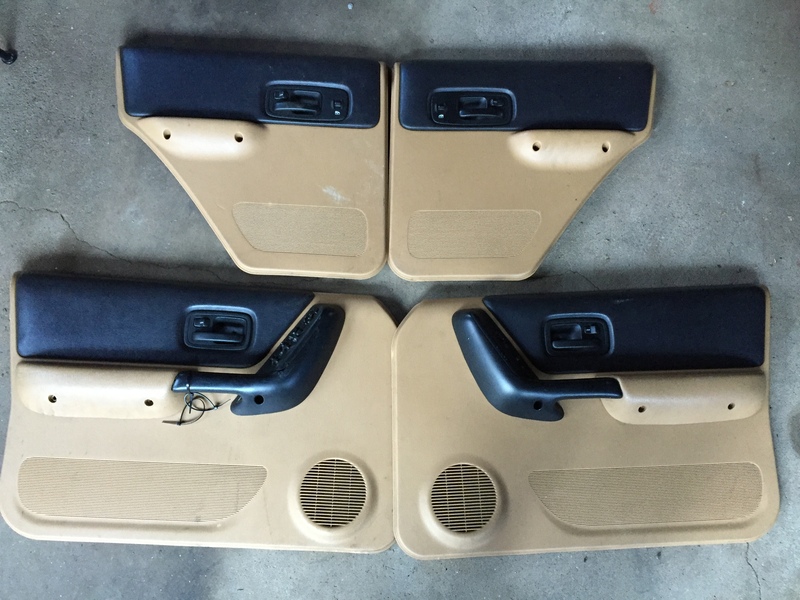 30 bucks per door panel. Willing to negotiate slightly, I'm fine with shipping the regulators. I might ship the panels. I'll take the drivers front door regulator. My girlfriend has complained about that a while..
Make sure that they aren't bent. Pm me with an address and I'll get you a quote. Regulators and door panels or just regulators ? I sent you a Pm for the drivers regulator without a response?